Kent Kwik Conveniences Store are thrilled to announce that we will be partnering with Chevron to bring the Fuel Your School back to the Midland/Odessa market. 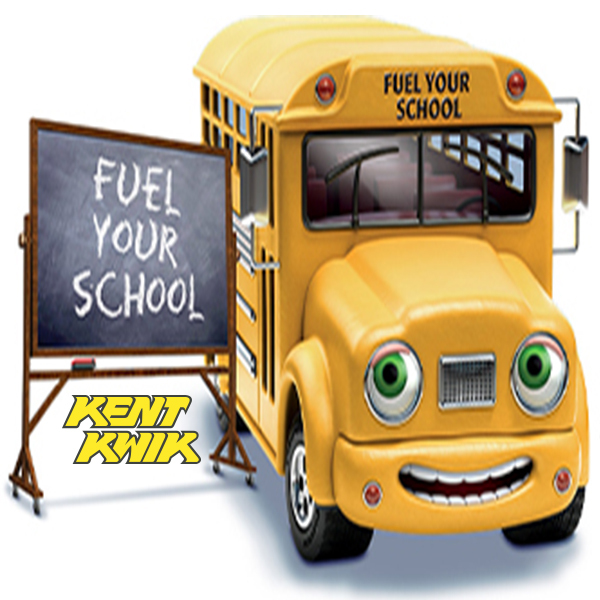 Fuel Your School is a program that helps generate funds for local classroom projects when consumers fuel up at Kent Kwik stations in Midland or Odessa. This is a very popular program that helps teachers get one new classroom project fully funded and greatly impacts our schools. During the month of October, $1 will be donated, up to $200,000 to help support public schools when consumers purchase 8 or more gallons of fuel at a local Kent Kwik in Midland or Odessa. Create one project requesting up to $1,000 in classroom materials. The teacher project submission period has changed to September 30 this year. Submit your project as close to this time as possible for the best chance of funding. Project funding begins Wednesday, October 3, based on the order in which projects were submitted. Once a week, Kent Kwik and Chevron first funds one project per school in your market, Midland and Ector County. Projects will continue to be funded one at a time, on a rotating basis among schools in the same market, while funds last. Please help us reach our goal of $200,000 by fueling up at during the month of October. Have questions? We’re here to help. Please contact Meredith Bright at mbright@Kentoil.com or (432) 520-4000.